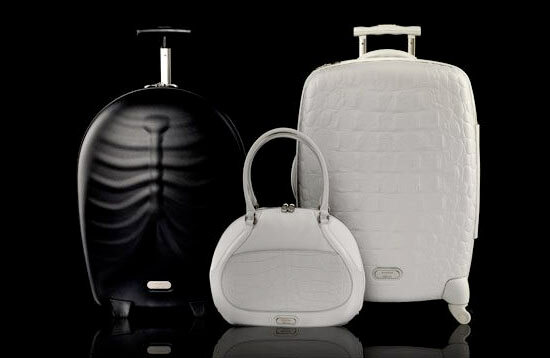 samsonite black label recently updated their line of luggage by fashion designer alexander mcqueen. some of the pieces will be issued in a limited edition silver, which uses a specially designed paint that was originally invented for the auto industry. the paint is thermoformable and has a high impact resistance. ‘the hero piece’ is the key bag in the line and was formed using a mould of a human ribcage and sternum on the front and spine on the back. 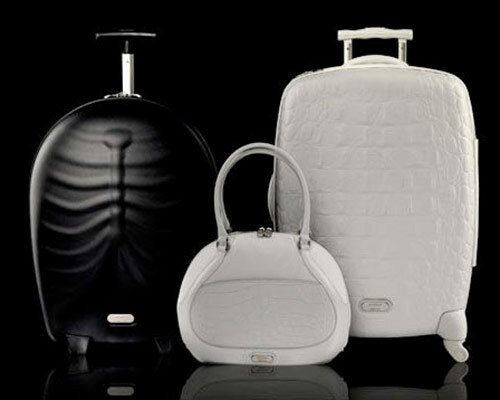 other pieces in the collection apply animal patterns like crocodile to the bags skin using laser cutting technology.